As a traveler, I always have this eagerness to search for the most secluded, most pristine and most serene. Subic Beach in Matnog, Sorsogon has always been there on my list. It is one of those beaches people often compare to Boracay. So it got all – white sand, crystal clear waters and a scenic island setting, less all the resorts, bars and restaurants. So, when the opportunity came, meaning enough non-working days, I decided to head way down south, up to the tip of southernmost tip of the Bicol Peninsula, which is the entry way to Visayas and Mindanao, to finally experience for myself this elusive paradise. I invited my wanderlust friends, Maria Aurora’s Tourism Officer Noel Dulay and long time travel buddy Atty. Augusto Macapagal, to join me in this trip. I figured, if I am to be lost, I would rather be with people who are good at being lost, like me. So, I packed all my camping essentials and hit the road. Getting to Matnog was not totally that uneventful. First, we had to endure hours of traffic in Batangas and Quezon, so our projected 12 hours drive turned 18 hours. Then, we got bumped off last minute at the Army Transient Facilities in Matnog. 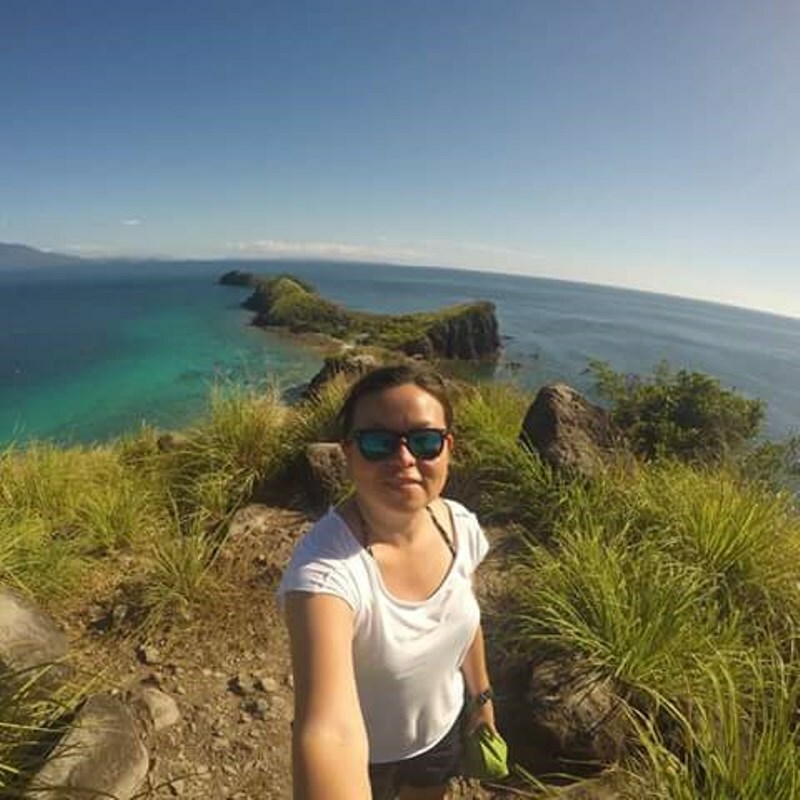 Good thing, Matnog Tourism Officer Rowena Salvador helped made the rest of the trip really flowing smoothly for us. Having gained online popularity, the city is already bracing itself for the influx of tourists who are ready to rough it out at these secluded destinations. Guests are now required to register and secure their bancas at the tourism office conveniently located near the port of Matnog. The boat owners have also organized themselves. Rentals for daily trips are set at 1,500 pesos and 2,000 pesos for overnight trips. There are three stops available. First is Subic Beach in Calintaan Island, which is really our agenda. Travelers can also drop by Tikling Island and Juag Fish Sanctuary. We decided to settle for the night and camp at Subic Beach, which is about thirty minutes boat ride from the port of Matnog. From afar, we could already see why people, who have been here, rave about this place. The beach is stunning with its long stretch of white sand, clear turquoise waters, rock formations and trees lining it. It felt really good to be in an island that almost feels like my own because there are not many tourists and commercial establishments in it. There are only a few cottages. Guests who bring their own tents can camp for free. I spent the whole afternoon exploring the island on foot, swimming and of course snoozing. Come nighttime, we enjoyed the company of the locals over rum and their freshly caught octopus cooked in coconut milk. The following day, we explored Juag Fish Sanctuary, located at the same island and the more solitary Tikling Island. Just like Subic Beach, no fees are required at the Juag Fish Sanctuary, only donations. There is a sliding bamboo raft that transports guests from the reception area to the sanctuary, where fishes thrive to aplenty. Last stop was the quaint little island called Tikling. It is as charming as Subic, with cute little tree house, bigger trees and lesser facilities. We paid fifty pesos to the island’s caretaker and we were already able to enjoy the blue waters and fine white sand of the island. 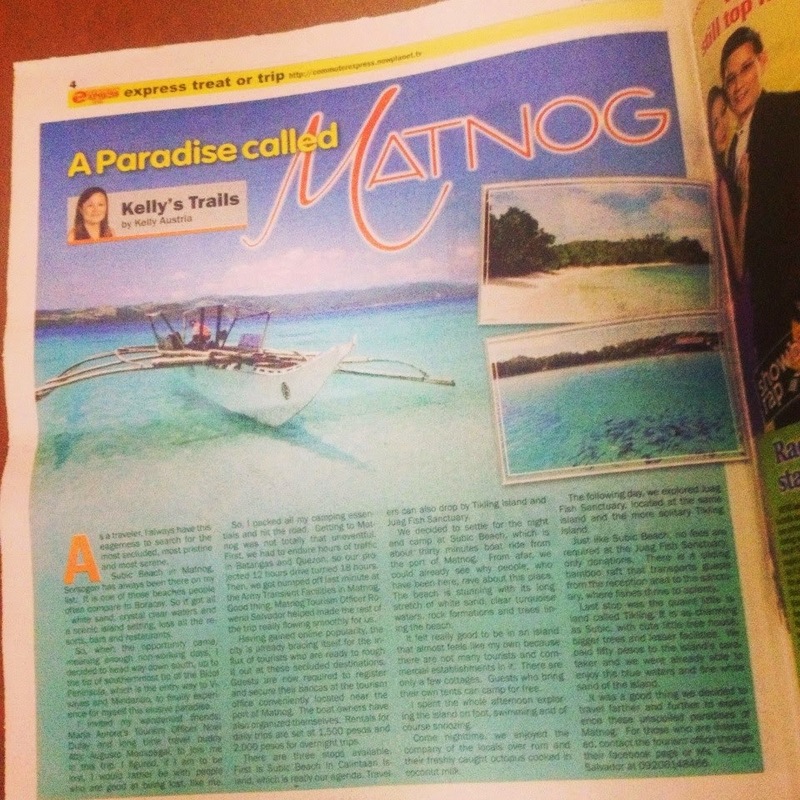 It was a good thing we decided to travel farther and further to experience these unspoiled paradises of Matnog. For those who are interested, contact the tourism office through their facebook page or Ms. Rowena Salvador at 09206148466.